Hi! I hope that your day has been good. I really like to make interactive cards, and today I share one on trinity stamps YouTube channel. I created a masculine birthday card. 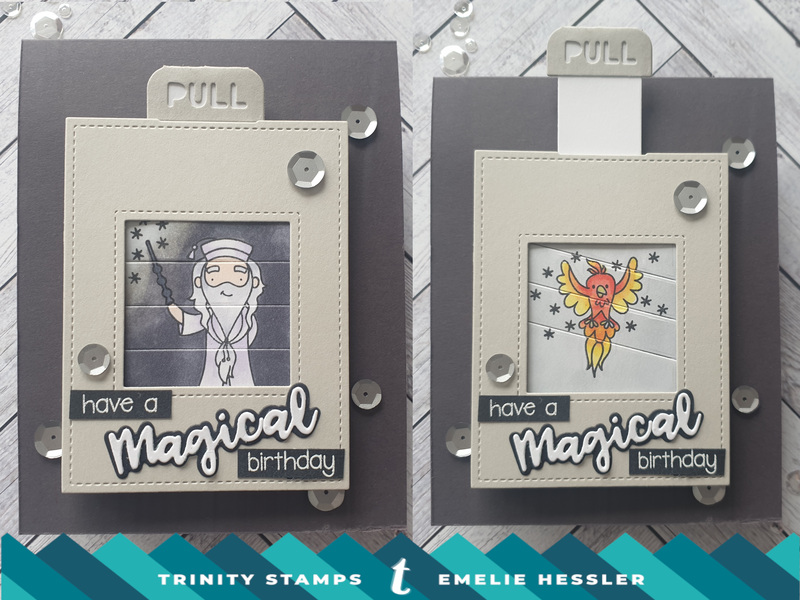 To create this card I used wizard friends from trinity stamps along with magice picture chaneger from lawn fawn. To decorate the card I used Black Tie Affair Embellishment Mix I hope you like the card.